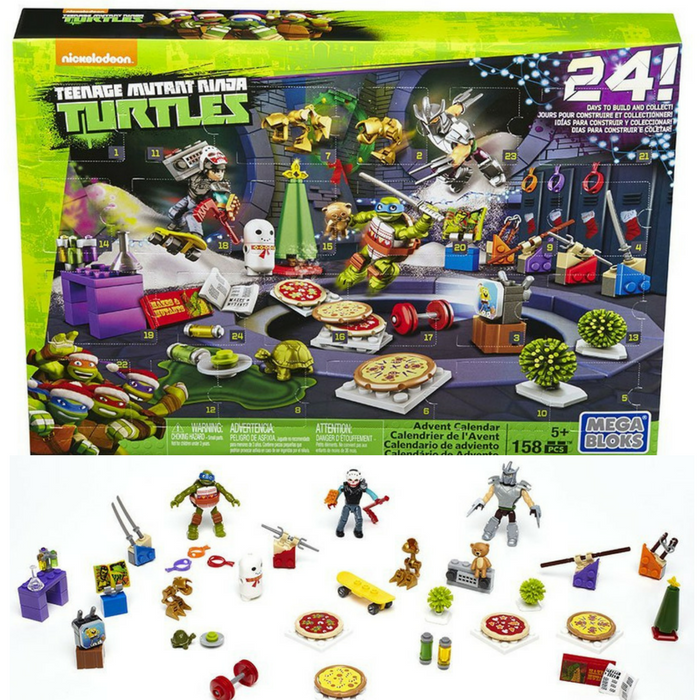 TMNT Advent Calendars Just $15.95! Down From $30! You are here: Home / Great Deals / Amazon Deals / TMNT Advent Calendars Just $15.95! Down From $30! Score this TMNT Advent Calendars at Amazon for only $15.95 down from $29.99 PLUS FREE shipping with Amazon Prime or for orders over $25! Celebrate the holidays in true Turtle style with your own Turtle-themed Advent Calendar by Mega Bloks Teenage Mutant Ninja Turtles. Add a little ninja-ness to your winter festivities when you open a new buildable, Turtles-themed surprise for every day of the holiday season. With 24 surprises to build, the Turtles’ Advent Calendar features four buildable, micro action figures with accessories, including one Turtle that you can equip to look like any of the four brothers. Connect with other Mega Bloks Teenage Mutant Ninja Turtles sets and build the Turtles’ world from the sewers up.